Marilyn Joy Bozarth, 81, formerly of New Jersey, passed away on Monday, May 31, 2010 at Arborview at Willow Valley. Born in Pittsburgh, PA, she was the daughter of the late John and Elizabeth Mathews Huellen. She was married to the late Eugene H. Bozarth. Marilyn worked as a realtor for Coldwell Banker, and Graham Realty, both of Vineland, NJ. She was a former member of the First United Methodist Churches of Millville and Vineland, NJ. She was also a former vice president of the Woman’s Club of Vineland and of the Heritage Club of Vineland. She was a past volunteer for the American Red Cross and a former area unit coordinator of the Women’s Society of Christian Service of Millville, NJ. She was an avid bridge player at Willow Valley, a volunteer at the Cultural Center Theater at Willow Valley and a member of the Towne Club of Lancaster. 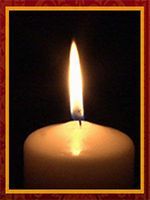 She will be lovingly missed by: her devoted friend, Lockwood “Locky” Johnston of Willow Valley; her son, Ronald H. husband of Becky Bozarth of Olathe, KS; her daughter, Kathleen L. wife of Bernard Earls of Parsippany, NJ; her grandson, Banning H. Bozarth of Vienna, VA.
A chapel service will be held from the Brigadier General William C. Doyle Veterans Memorial Cemetery, 350 Provinceline Rd., Wrights-town, NJ on Wednesday, June 9, 2010 at 2 PM. In lieu of flowers, contributions may be sent to AseraCare Hospice, 315 Primrose Lane, Ste. 101, Mountville, PA 17554.